Idiosyncratic exploration of the history—political and archaeological—as well as the theology, iconography, and folkways to be revealed by close scrutiny of a single church in Rome. An “anthropologist of everyday life,” Canadian writer Visser (The Way We Are, 1996, etc.) turns her gaze upon the church of St. Agnes, built on the Piazza Navona above the grave of a 12-year-old girl who was martyred in a.d. 305. The church’s own structure provides the organizing principle for the author’s discussion, which opens with a description of the entrance. Entering a church, according to Visser, brings to mind mystical experiences, and her first chapter contains an essay on personal epiphanies, as well as comments on collective memory and the initiation of church visitors. As she moves through the church’s hallways and chambers, describing just what the visitor will see, she explains the symbolism of the ground plan and discourses on the nature of sacred spaces, including the ancient Temple of Solomon in Jerusalem. The nave leads her to a discussion of Roman catacombs, Constantine’s building of basilicas, the significance of labyrinths, and the function of columns; consideration of the altar brings up Communion and the origin of canopies; a capsule history of mosaics follows from examination of the apse. 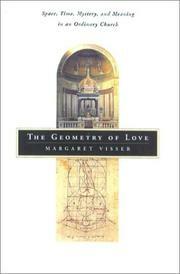 Thus Visser progresses through the church, describing what is visible on the ceiling, walls, and floor, decoding the symbolism of the art and architecture, and providing brief essays on such topics as bells and bell towers, baptism and other rituals, various popes and saints, controversial beliefs surrounding relics, and folklore concerning the importance of virginity in female martyrs. For Catholics, many of her little lectures will be superfluous, but to outsiders, they can be enlightening. A mixed bag full of surprises—often erudite, sometimes entertaining.